GIGABYTE, the world’s leading premium gaming hardware manufacturer, today launched the GeForce GTX 1080 G1 GAMING graphics card (GV-N1080G1 GAMING-8GD). Powered by Pascal, the new king of graphics card is packed with legendary G1 GAMING designs to deliver unprecedented performance for next-generation gaming. Featuring Super Overclock GPU, the signature WINDFORCE 3X cooling and RGB illumination, this G1 GAMING graphics card provides a proven solution in terms of overclocking capabilities, silent cooling, and customizable lighting for an enriched gaming experience and beyond. The legendary WINDFORCE 3X cooling system incorporates 3 pure copper composite heat-pipes with direct touch to the GPU, special fin architecture, and unique blade fan design. Together the WINDFORCE delivers an effective heat dissipation capacity for bringing out the best of Pascal while keeping the card cool. The 3D Active Fan provides semi-passive cooling, which allows gamers to enjoy gameplay in complete silence when the system is running light or idle. An LED fan indicators provides a user-friendly, instant display of the fan status. The new black shroud with orange accents provides a new vibrant gaming visual look to G1 GAMING. The metal back plate offers rigidity and protection to the structure, while adding a sleek, clean look to the card. 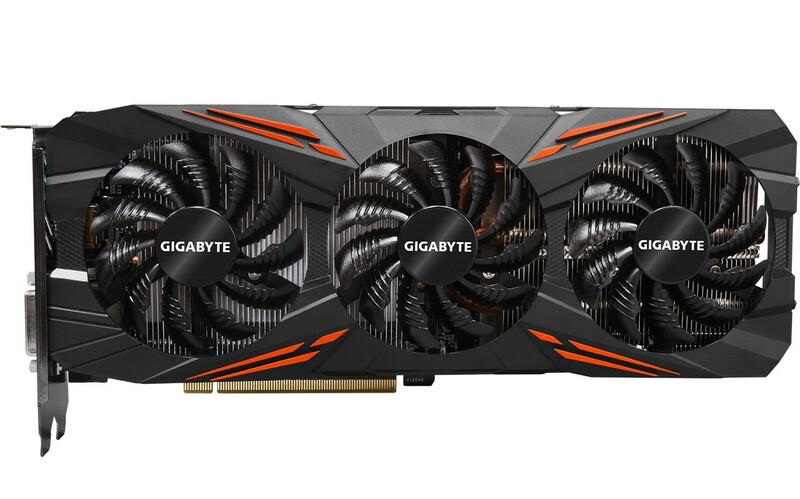 The GTX 1080 G1 GAMING is further styled up with the GIGABYTE LED logo available in full-spectrum RGB. With 16.8M customizable color options and numerous lighting effects, gamers have the maximum freedom to choose the right scheme for their gaming rigs using XTREME Engine utility software. 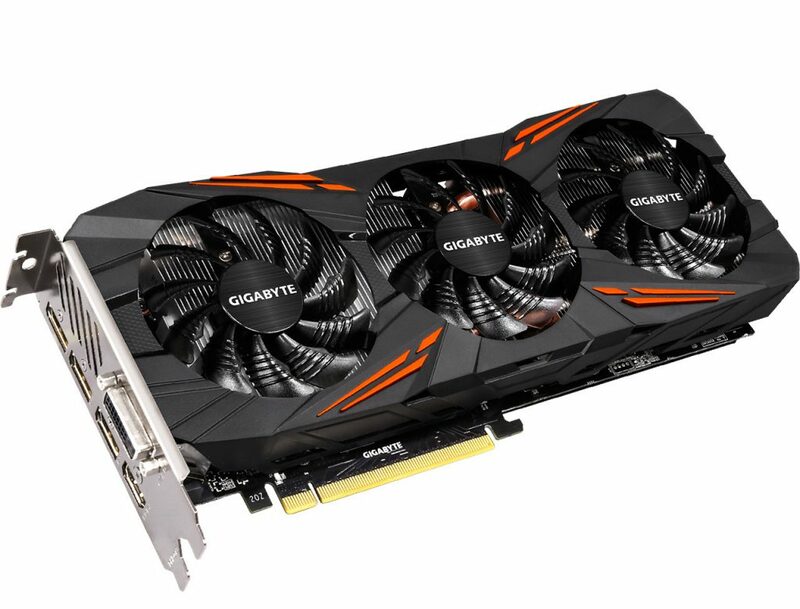 The GTX 1080 G1 GAMING is forged with only the top-notch GPU core through the very own GPU Gauntlet Sorting technology, ensuring the maximum overclocking performance without compromising system reliability. 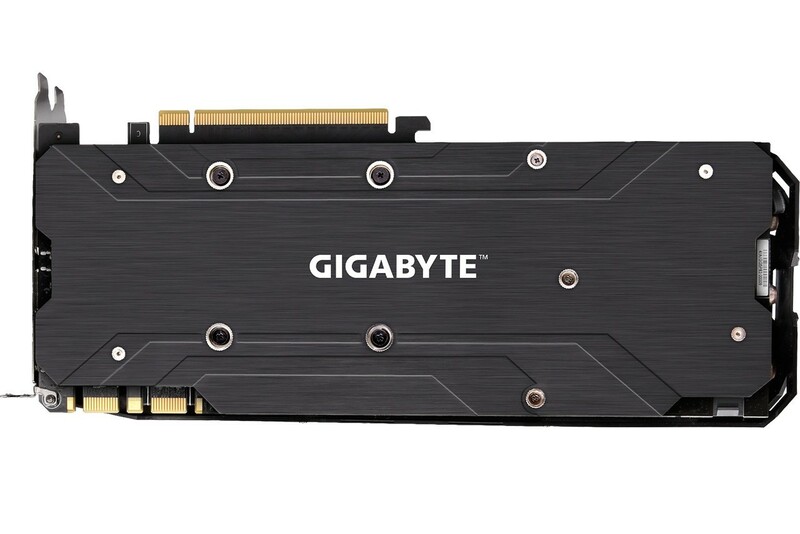 The card is backed by an 8+2 phase power design for load balance that effectively extends the stability and longevity with lower component temperature. It ultimately allows greater overclocking headroom, reinforcing higher, stable boost clocks for today’s heavy-load game titles. The card also comes with one-click overclocking via XTREME Engine. With a simple mouse click, gamers can easily tune the card to meet their various gaming requirements without any overclocking knowledge, while saving the hassle of manual adjustment. 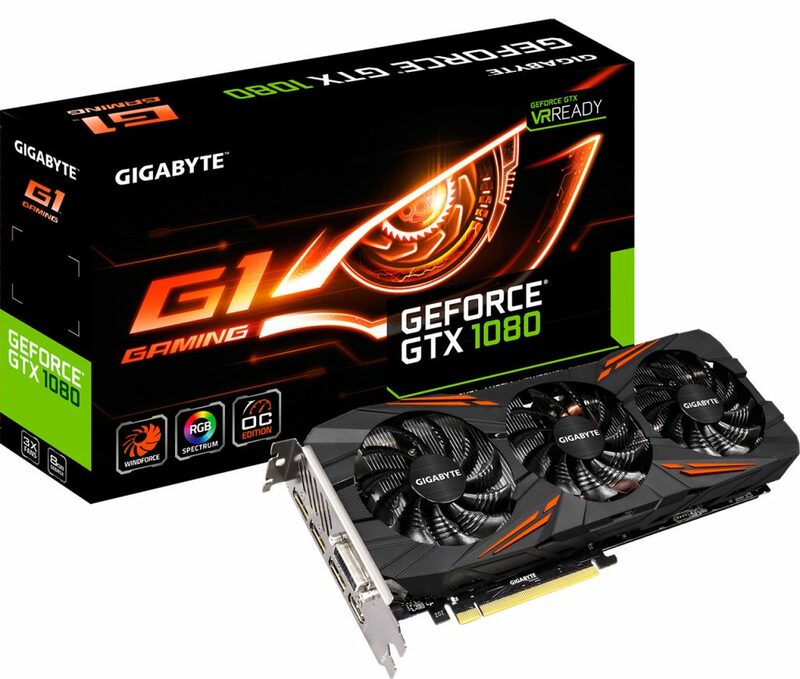 Boasted with the highest-grade chokes and capacitors, the GTX 1080 G1 GAMING delivers outstanding performance and durable system lifespan to take on today’s most challenging gaming demands. In case of any power abnormality, gamers could easily visualize the issue at hand with the smart power LED indicator.